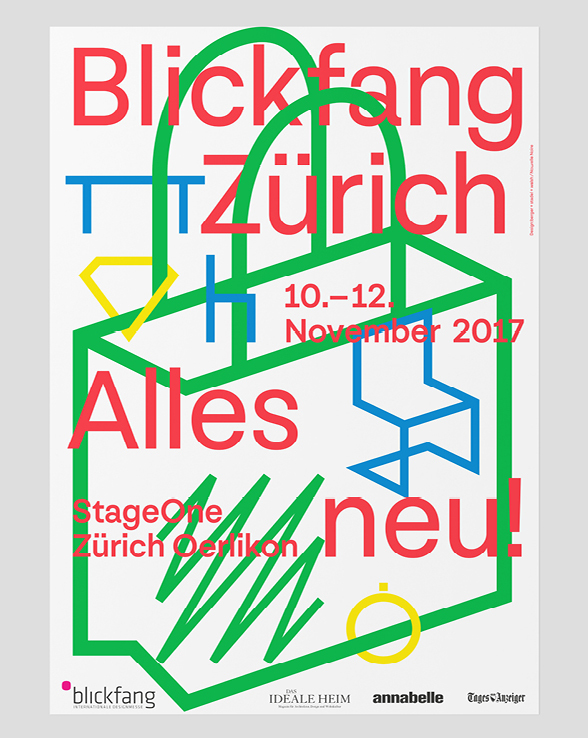 The blickfang International Design Fair commissioned a new identity for their 2017 Zurich edition. 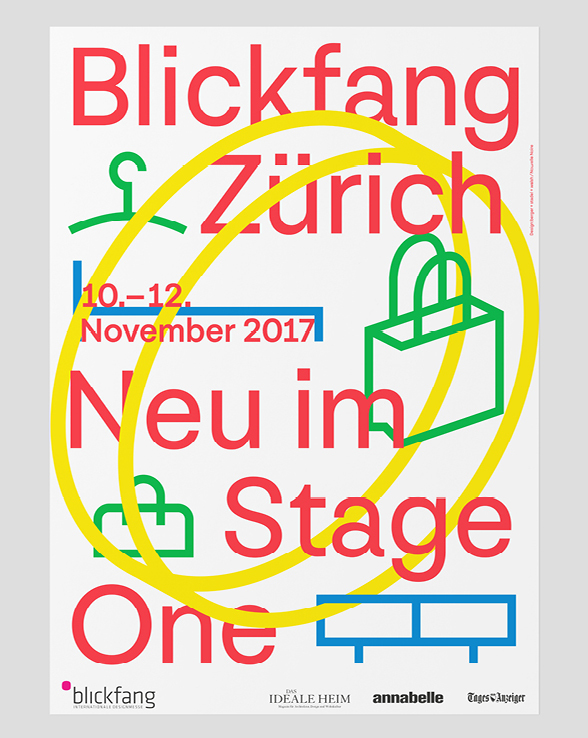 blickfang fairs take place every year throughout central Europe in Stuttgart, Hamburg, Cologne, Vienna, Zurich, Basel and Bern. 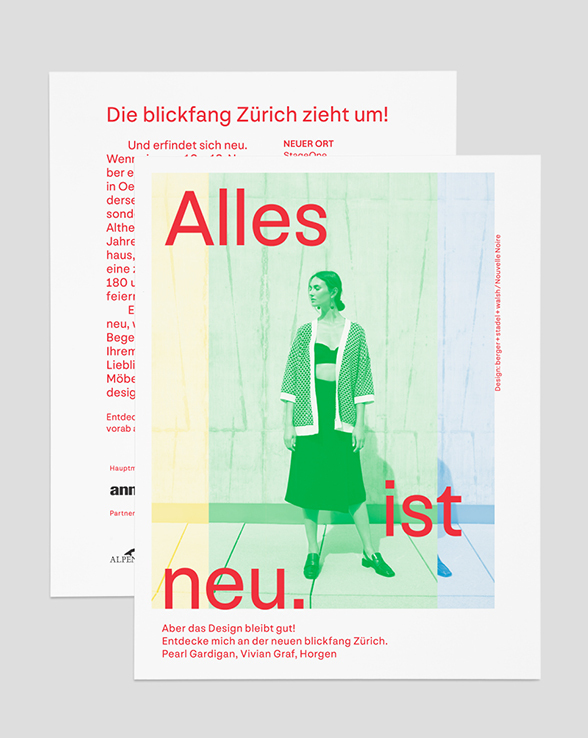 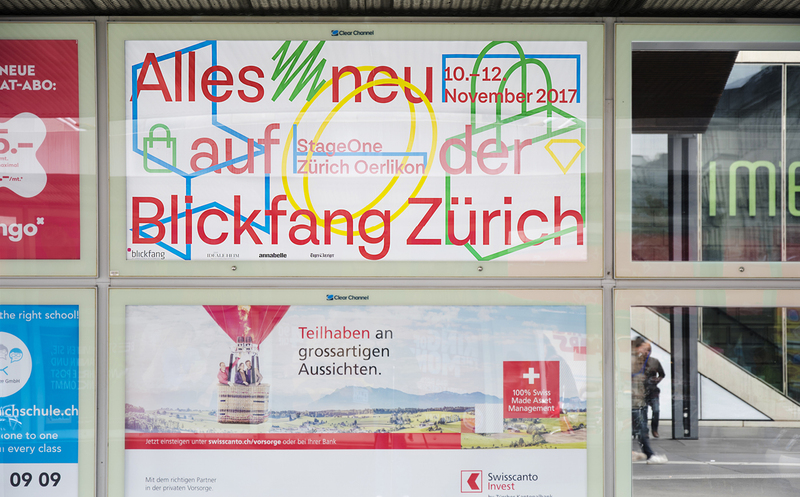 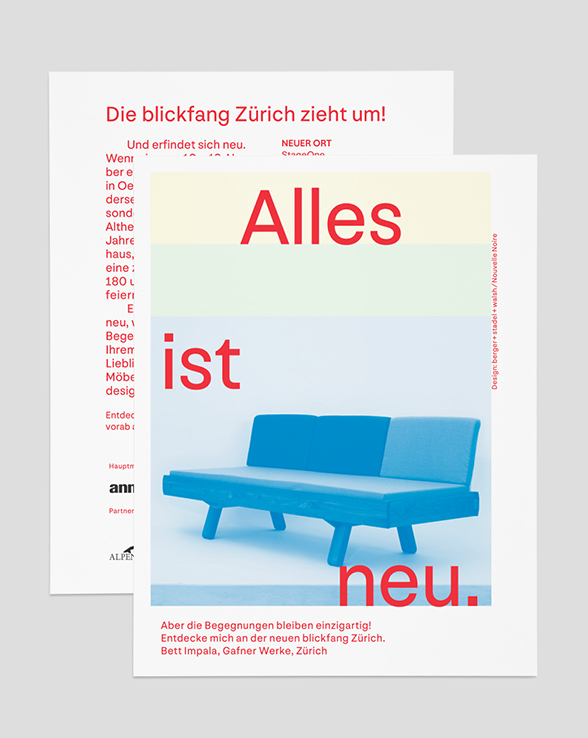 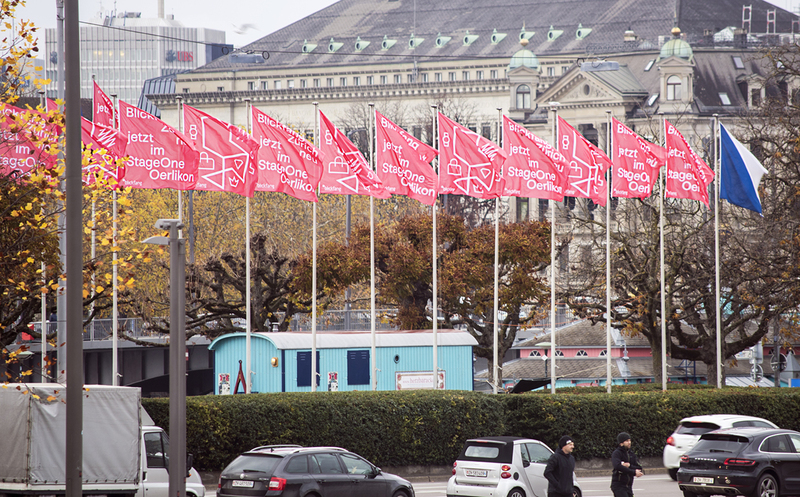 A joint venture with Nouvelle Noire, and under the name of berger + stadel + walsh, blickfang Zürich required an identity that would differentiate it from its other European sister events as well as enabling a comprehensive communication system that could prove its flexibility through a multitude of print, digital and spatial applications. 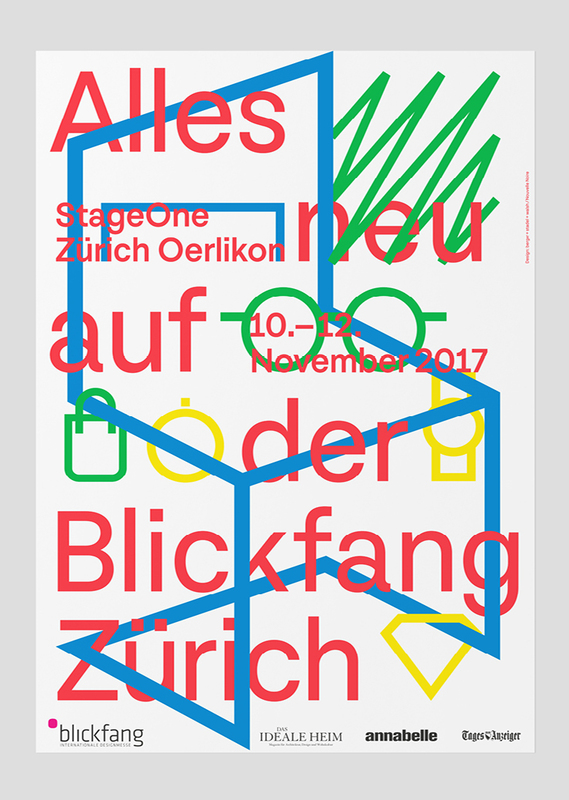 Special considerations allowed for the identity to function as animations and moving image cycles.